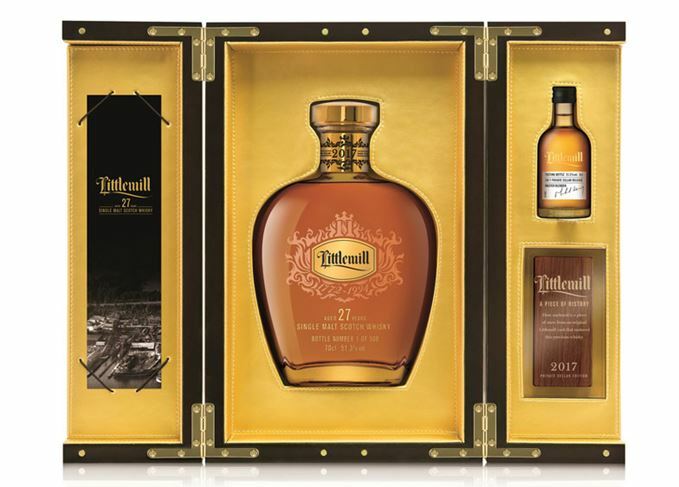 A limited edition Littlemill 2017 Private Cellar Edition has been made available for £2,250 per bottle. Established in 1772, the Littlemill distillery stopped producing in 1994, before burning down 10 years later. As a result, very little of its stock remains and owner Loch Lomond Distillery Company has restricted its new 27-year-old expression to just 500 bottles. Produced from eight casks distilled in May 1990, the Private Cellar Edition has been matured in refill Bourbon casks and married in first-fill Bourbon barrels for a further 12 months, before being bottled at 51.3% abv. Michael Henry, master blender for Loch Lomond, has enhanced Littlemill’s distillery character – light floral notes, reminiscent of its triple-distillation era – to create a ‘unique and historic experience’. He said: ‘It’s a tragedy that the distillery fell silent and was later destroyed by fire, committing Littlemill to legend. Littlemill distillery officially began producing whisky in Bowling, Dunbartonshire, in 1772, although illegal production may have gone on for centuries earlier. In the 1930s, Littlemill became famous for its triple distillation process – a technique usually confined to Ireland’s distilleries – and provided inspiration for the opening of the Loch Lomond distillery in Alexandria in the 1960s. To this day, Loch Lomond is the home of the remaining Littlemill stills. The 500 individually-numbered bottles of the 2017 Private Cellar Edition are available to buy at specialist whisky retailers worldwide. Each is presented along with a piece of cask, and a miniature tasting bottle.